Would you move to a new country for someone you have only known online? Is this idea dangerous? Could love like this last? Let's discuss this important topic. Every good and bad thing that happens in our life shapes us to be the people that we are today and will become. While I am referring to Real Life in this statement, I believe this also applies to Second Life. Although SL is an online program, people do interact with each-other on it and therefore both of the positive and negative experiences that come from it, can Impact a person’s life in some fashion. I asked a group of five people on what their most memorable moment has been in Second Life thus far. Their answers range from loss to joy, but they all have one thing in common: Their experiences have affected the lives they lead outside of SL. Johnathan Carbenell has been a resident of Second Life for seven years. His most memorable in Second Life was unfortunately happened due to a death. Mr. Carbenell befriended a woman who succumbed to cancer. Her friends on SL gathered together to bid farewell to their friend. It was at this service that Mr. Carbenell realized that emotional connections can be made online. So many people believe that relationships can’t be formed on the internet. But the truth of the matter is, is that a lot of folks find lifelong friends and their soul mates on the web. 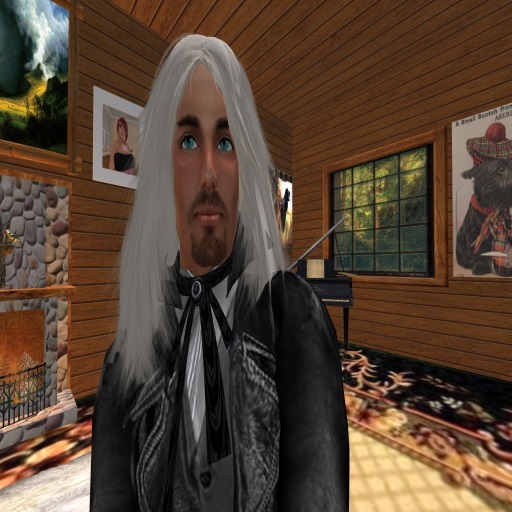 theRose Resident joined Second Life three years ago. Ms. Resident has had many notable moments throughout her time on SL, she’s had some notable moments, but the one that stands out for her is the day her troupe, Quill & Quarel, did a show for the En’Kara fair in support of RFL. The Q&Q troupe is a group that does plays based upon the Gorean novels. For those who are unsure what these books are about, its storylines revolves around life on a fictional planet called Gor. What made this event special for her was the success of it and the chance of helping a worthy charity. We all need true friends in our lives. Daniel Munster and gerbilwatcher Xue would agree with me and Ms. Flanagan. In Mr. Munster’s case, his most memorable moment in Second Life was when he was culling his friend’s list one day. He realized that the people who were still left on his list were the ones that he could call his friends. For Ms. Xue, her most memorable moments in Second Life is when she knew that her friends wouldn’t leave her when she was ill and celebrate with her in times of joy. They say it’s not how many breathes we take but the moment that takes our breath away. Whether the things that we experience are good or bad, the ones that make a mark on us, are the ones that we’ll always remember. 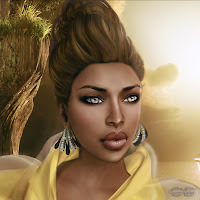 What is your most memorable moment in Second Life©? Use the comment box below to share your experience! I know an American lady who moved to Chile to marry a man she met in Second Life. There may be horror stories about SL residents meeting in RL, but this isn't one of them. The love in her voice when she talks about him is so thick you could cut it with a knife. I know another lady who moved to a neighboring country in Europe to be with the man she loves. I don't know if they met in Second Life, but by all indications they are very happy too. As for my most memorable SL moment, it's not something I can share in public at this time. But it did leave me breathless, and it's something I will never forget.